The Man had a pretty good weekend in Phoenix. 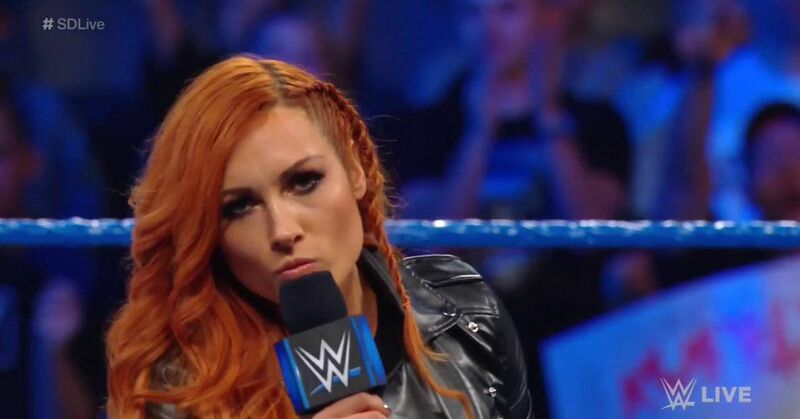 Fresh off winning the women's Royal Rumble match and challenging Ronda Rousey on Raw Becky Lynch opened this week's episode or SmackDown . With laser focus, Lynch once again ran down her opponent at WrestleMania 35 . 9 women's Royal Rumble showed up to celebrate. Rocking dark lipstick, Charlotte Flair talked down to Lynch until The Man had enough. Lynch got the best of Flair in the ring, but was then chased up the ramp at The Queen. Lynch limping away and flair laughing at the results. Were seeds planted for Charlotte Flair to work her way into a WrestleMania triple threat match? Get complete SmackDown results and coverage here.